Admiral Kathryn Janeway has now taken command of the Full Circle Fleet. Her first mission: return to the Delta Quadrant and open diplomatic relations with the Confederacy of the Worlds of the First Quadrant, a civilization whose power rivals that of the Federation. Captain Chakotay knows that his choices could derail the potential alliance. While grateful to the Confederacy Interstellar Fleet for rescuing the Federation starships from an alien armada, Voyager’s captain cannot forget the horrors upon which the Confederacy was founded. More troubling, it appears that several of Voyager’s old adversaries have formed a separate and unlikely pact that is determined to bring down the Confederacy at all costs. Sins of the past haunt the crew members of the Full Circle Fleet as they attempt to chart a course for the future. Will they learn much too late that some sins can never be forgiven…or forgotten? For the second month in a row, we're also getting an ebook novella. 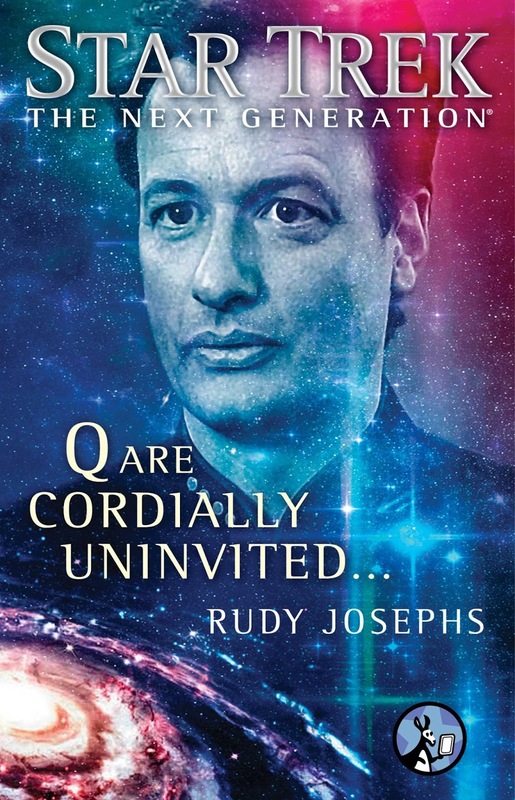 Rudy Josephs' Q Are Cordially Uninvited... takes us back a few years back from the "present" in the TNG books, to tell the story of Jean-Luc Picard and Beverly Crusher's wedding, which as the title subtly hints at, has a certain uninvited guest. This novella is due out in just a few days time. Of this month's five releases from IDW, three are entirely new comics. 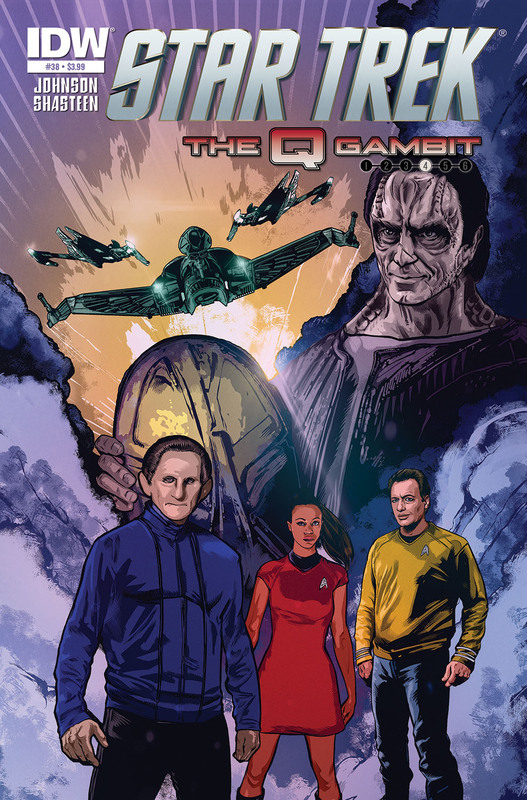 Q's second appearance of the month comes in the fourth part in the six-issue nuTrek/DS9 crossover story, The Q Gambit, which is also the thirty-eighth issue in the nuTrek ongoing series. 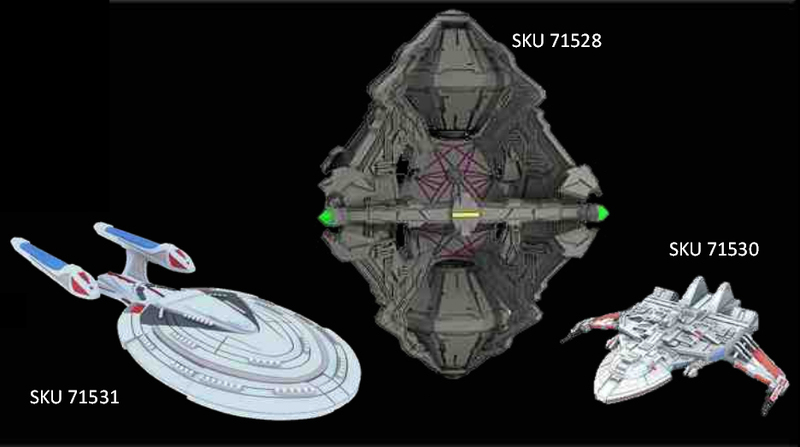 As ever Mike Johnson has written this nuTrek tale, while Tony Shasteen continues his work on this story arc's artwork. 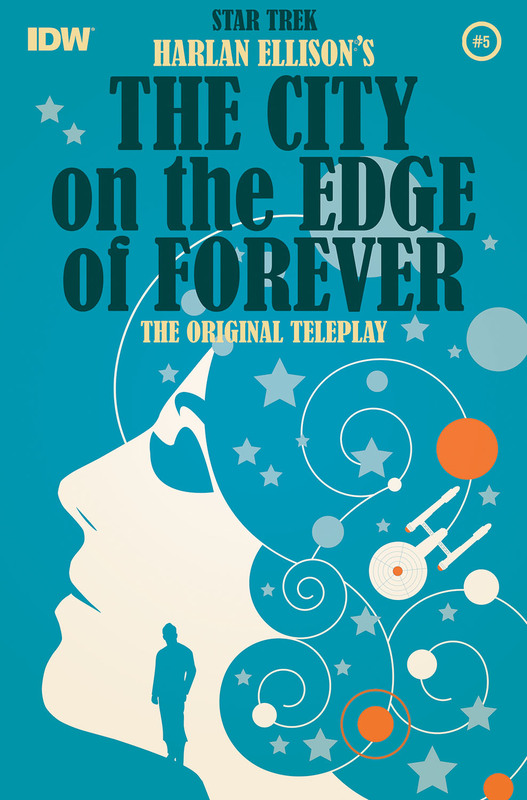 October also sees the fifth and final part in the comic book adaptation of Harlan Ellison's original teleplay for The City on the Edge of Forever. Scott and David Tipton finish up adapting said script, with painted art from J.K Woodward. The final all-new comic of the month is the third issue in John Byrne's bimonthly photo-comic series, New Visions. 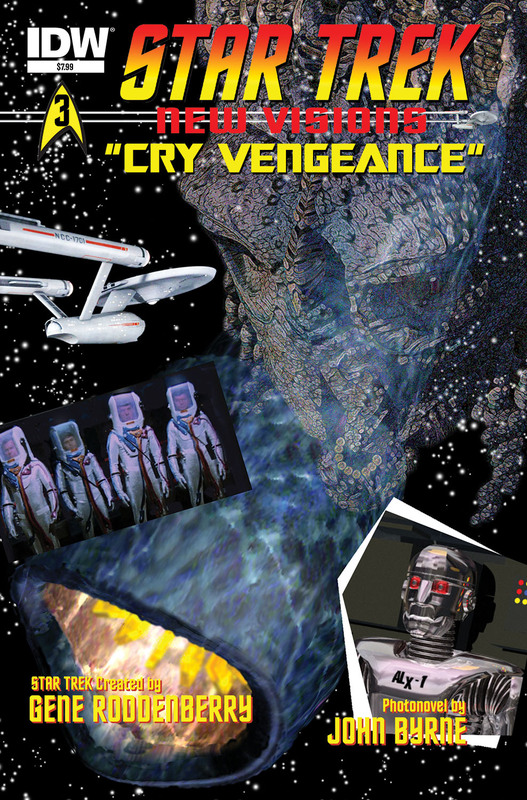 Cry Vengeance is set to give us the return of the Doomsday Machine, as well as a new robotic character. 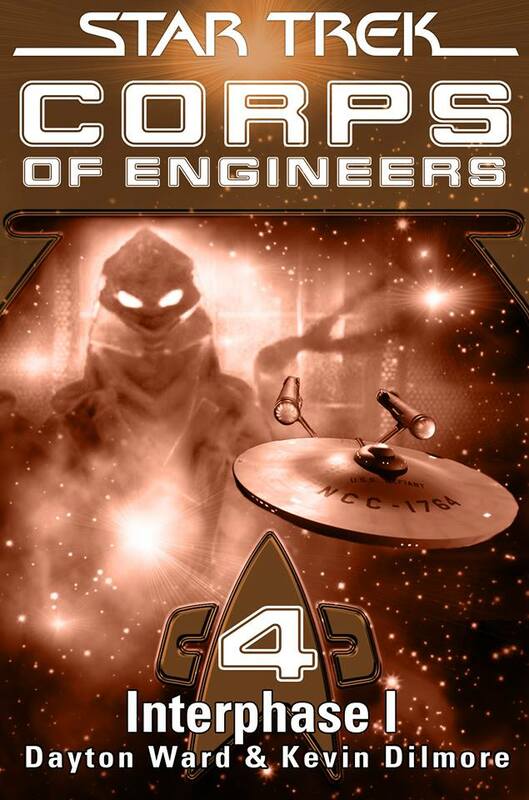 John Byrne continues his new Star Trek photonovel adventures with two tales for the price of one, as the crew of the Starship: Enterprise faces a menace three millions years in the making, plus something more recent but no less deadly. Presenting a follow-up to the classic episode "The Doomsday Machine," as well as “Robot,” a brand-new tale of murder and mystery. Pre-order: Things From Another World, Forbidden Planet, iTunes. Strange New Worlds, the first stand-alone photo-comic which was originally released an an annual (although in reprints has been brought under the New Visions banner). 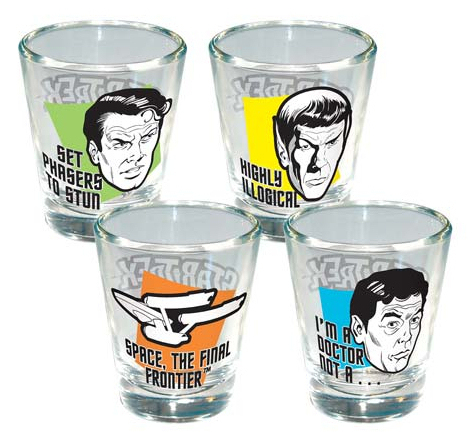 This is a sequel to Where No Man Has Gone Before. - You can read an excerpt from this issue at the end of one of my previous comics reports. The Mirror, Cracked, the first issue of the bimonthly series, and sequel to Mirror, Mirror. - I've previously posted an excerpt from this issue too. Time's Echo, the first non-sequel issue in the series, a tale of temporal displacement, which also includes a short second story featuring Janice Rand, "Sweet Sorrow". - And you guessed it, you can read a few pages from this one in an earlier report. A second omnibus is also due this month. Although originally solicited for September publication, its actual release has just drifted over into October. 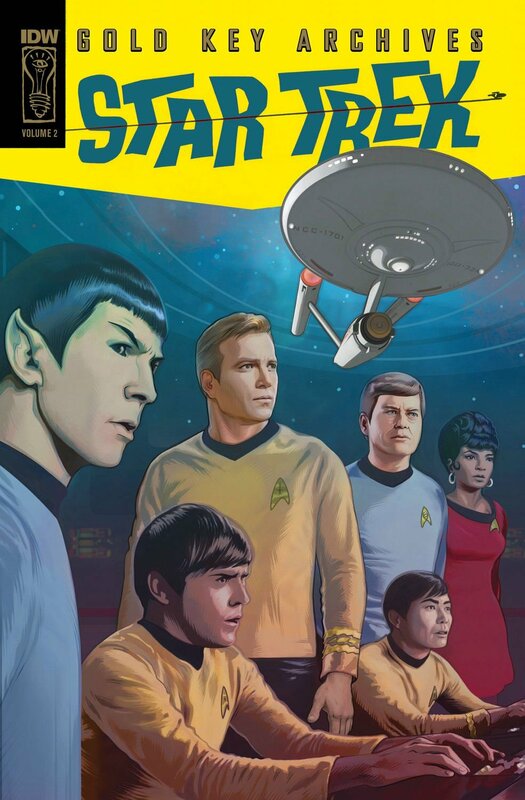 And that book is Gold Key Archives, Volume 2 - Like the first book in the series released earlier this year, this new omnibus brings some of the oldest Star Trek comics back to life like never before, with new colouring making them more vibrant than even the original publications. You can see a few preview pages from this book in a previous report. These are evidently being well received, as a third book in the series is already set for release next February. 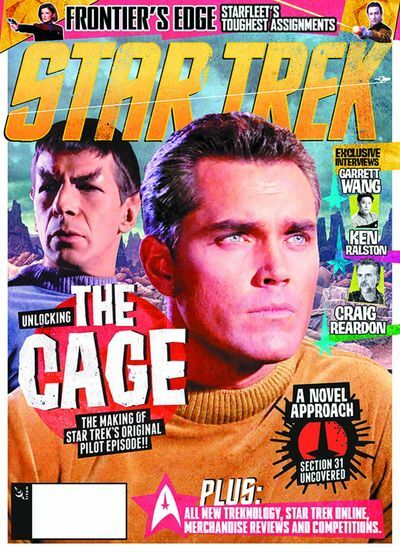 It's another 50th anniversary milestone for Star Trek, as we mark a half-century since production began on original pilot episode, 'The Cage.' 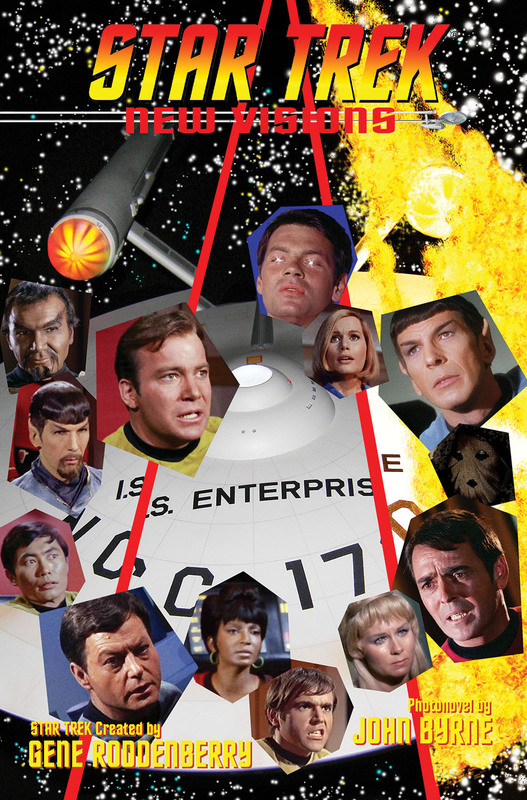 The Official Star Trek Magazine looks back at the making of this landmark episode, from the very first scenes shot on stage 16 at Desilu Studios, Culver City, in November 1964. 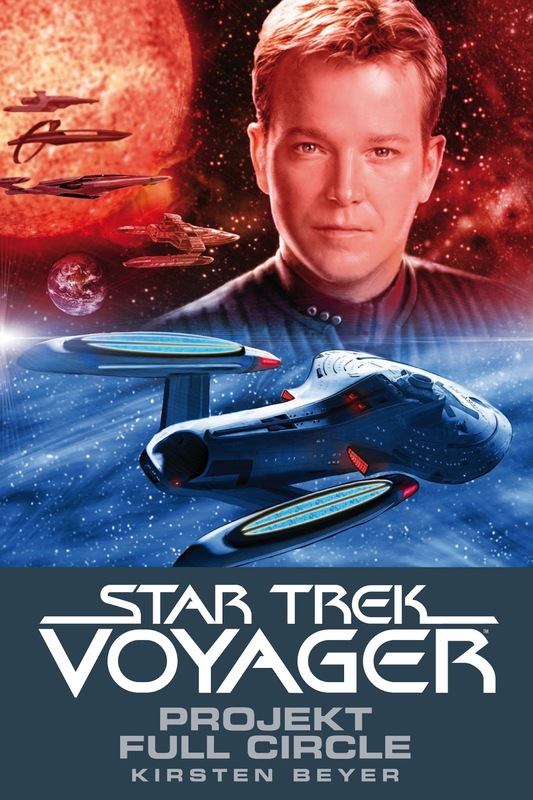 We've also got exclusive interviews with Voyager actor Garrett Wang, and effects supremos Ken Ralston and Craig Reardon. 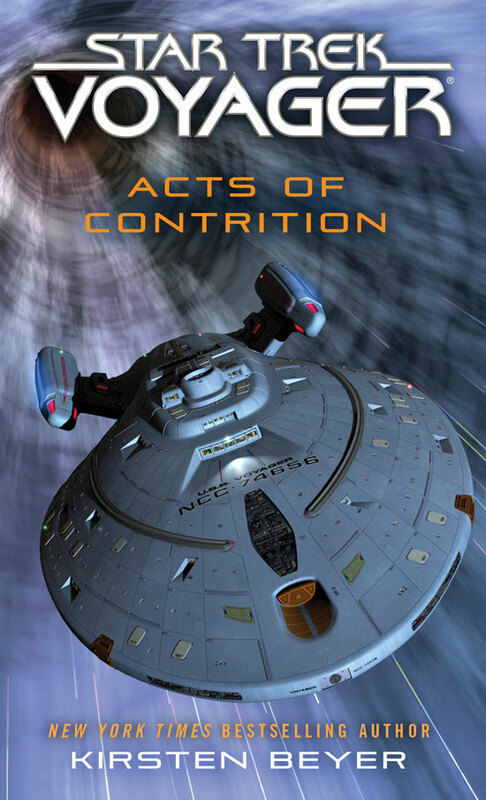 There's also original fiction from Star Trek Online, and we investigate the mysterious Section 31 in regular fiction feature 'A Novel Approach', plus all the latest news, reviews, and competitions! 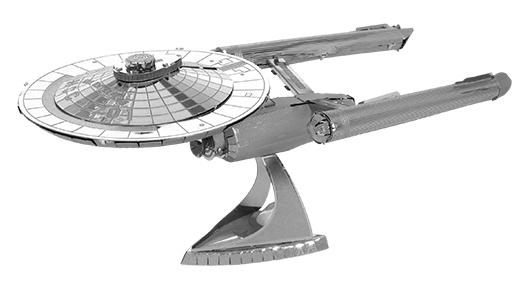 This month was also set to see the release of the new Ships of the Line book, but that has been pushed back to December publication now, so that leaves just one more book coming in October - Well, it does at least if you live in Europe, which is where the new Star Trek Pop-Ups book will be arriving first; North American pop-up fans need to wait another month for publication there. 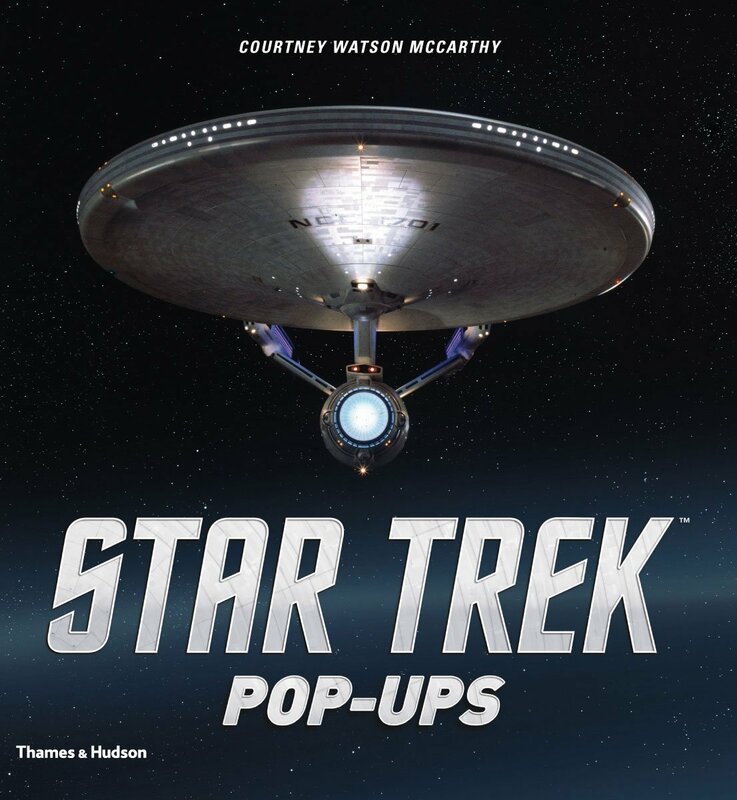 The book features seven pop-ups designed by Courtney Watson McCarthy, with text from Paula Block and Terry Erdmann explaining the scenes from across the prime-timeline. 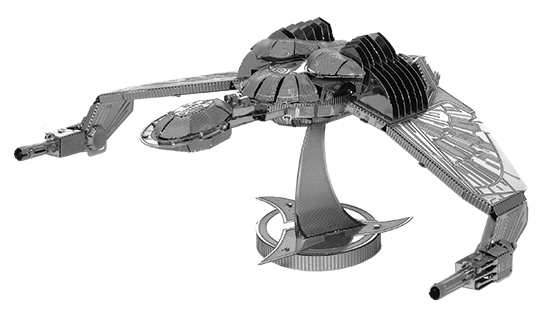 A legendary sci-fi epic as you’ve never seen it before—including the Klingon Bird of Prey, the Bride of Chaotica, and the Enterprise herself, all literally bursting off the page. Check out my previous books report for preview images of four of the pop-ups in the book. 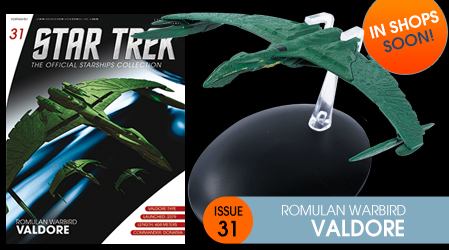 Another three ships this month come from Eaglemoss' Official Starships Collection. 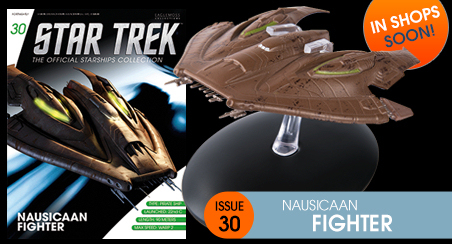 The Nausicaan fighter and Romulan warbird Valdore are already in the hands of UK subscribers, while issue thirty-three, the Danube class runabout USS Orinoco should be out by the end of the month. Of course collectors in other parts of the world will have to wait a bit longer, with the US getting these three next, in November and December. 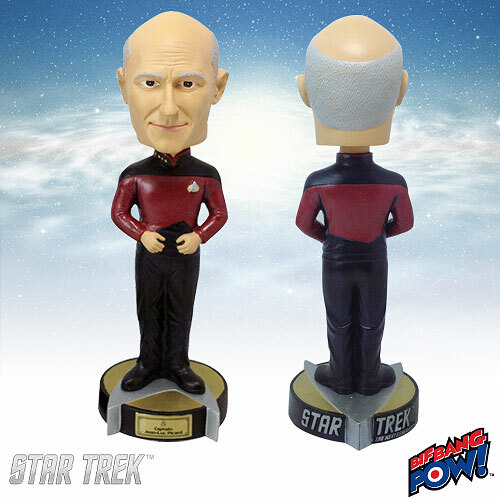 Pre-order: Things From Another World, Entertainment Earth. 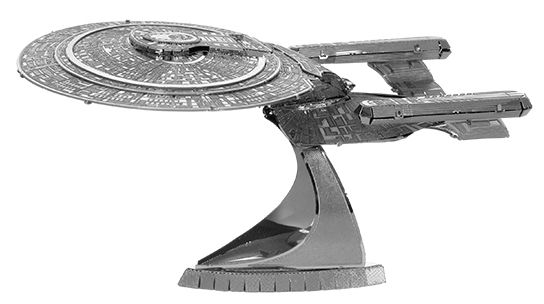 UPDATE: Also now confirmed for the end of the month, in the UK at least, is the third over-sized special issue in the series, the USS Vengeance. 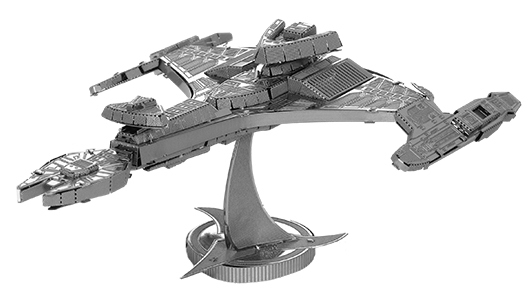 More ships are also coming in the form of gaming miniatures in Wizkids' Attack Wing game. 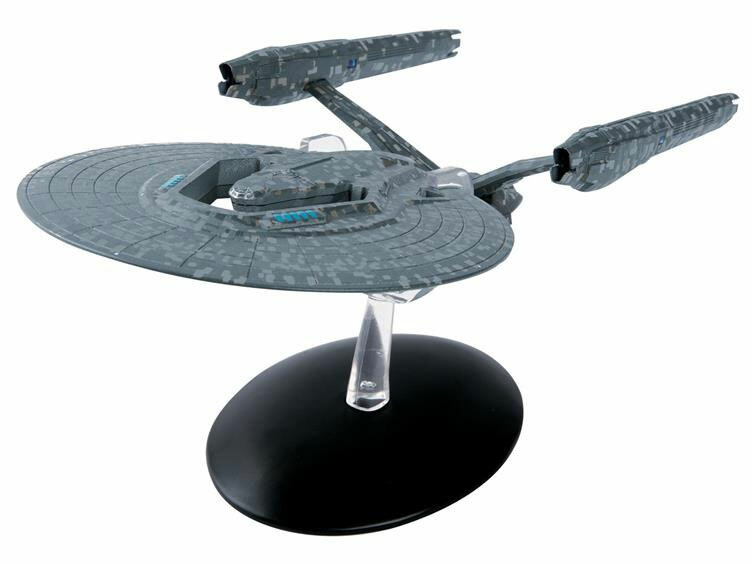 Wave eight, out this month, includes the USS Enterprise-E, the Maquis Raider Val Jean, and the Borg's "Queen Vessel Prime". Still not had enough ships? 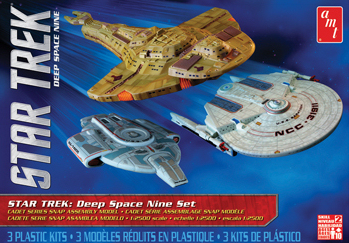 Well there are another three coming in the new DS9 themed model kit collection from AMT. 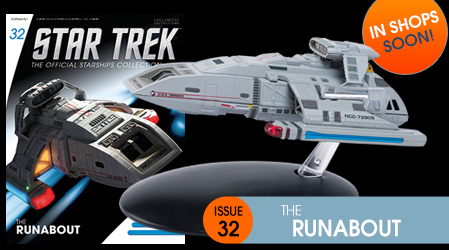 The latest in their Cadet Series (which is consistently at 1:2500 scale), the new set includes the USS Defiant, USS Saratoga, and a Galor class. 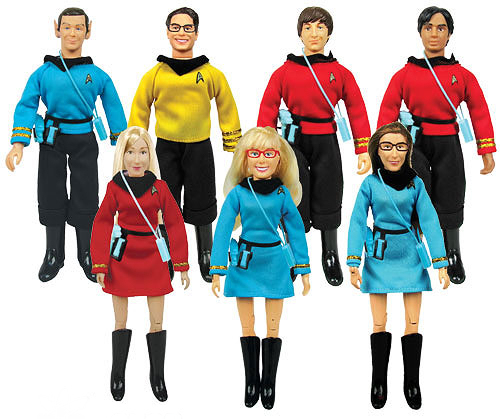 Big Bang Pow have also produced the new range of Star Trek/The Big Bang Theory retro action figures. All the main characters are represented, and available now, except for Penny, who has been delayed until January. 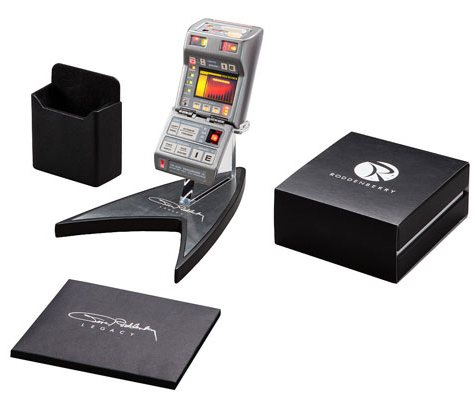 Another prop was also expected this month, DST's new Search For Spock phaser, however than has now been moved back to January release. 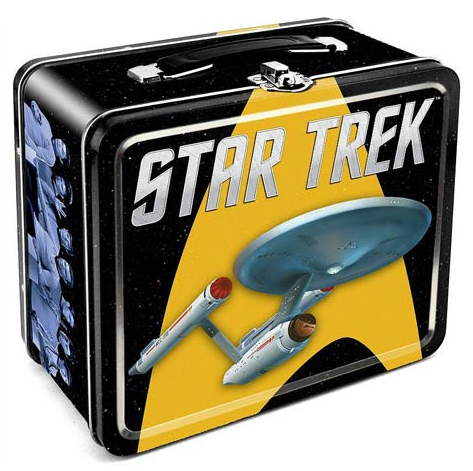 There's always a good selection of Star Trek stuff for the home, and this month will also see the release of new retro TOS shot glasses from Icup, and a metal lunch tin from Aquarius. Finally back to books and very much going full circle, German readers have two releases from Cross Cult this month: The first of Kirsten Beyer's Voyager relaunch novels, Projekt Full Circle (aka Full Circle) and fourth Corps of Engineers ebook Interphase I (or, Interphase, Book One...) from Dayton Ward and Kevin Dilmore. And that, is all, for now. But there are almost always new bits and pieces announced throughout any given month, which I shall of course report on as they appear. You can find out more about all these items, and everything else out this year, with links to all my previous coverage on my schedule page.